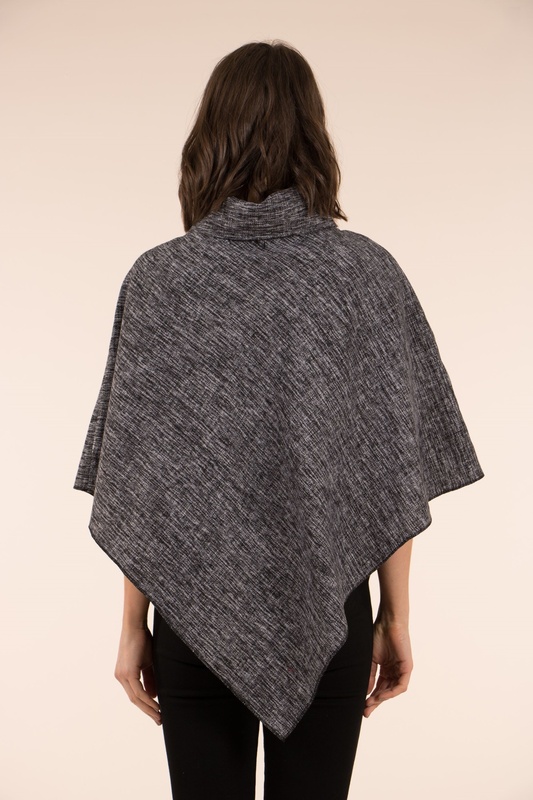 In a classic tweed-style fabrication, this elegant roll-neck poncho is the ideal throw over top to keep close by on those cool days or nights ahead. An all-season stylish item, everyone needs to have at least one in their wardrobe. 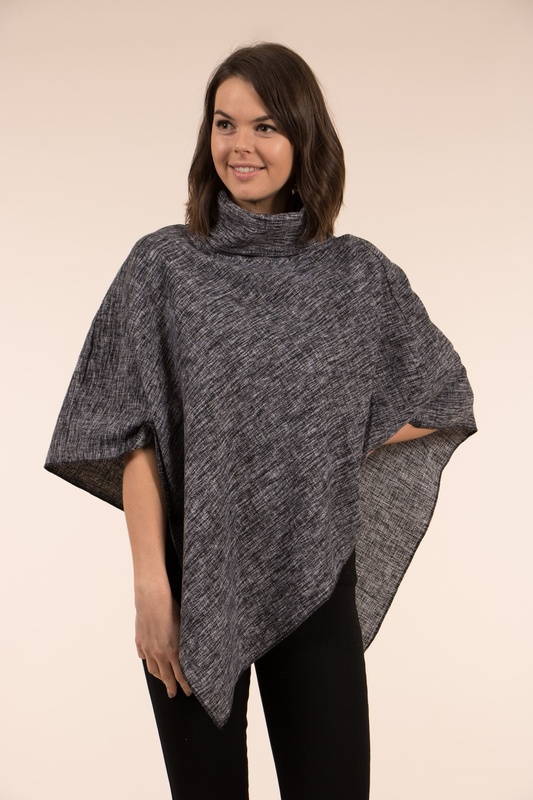 The high neck ensures protection from the wind and wet weather; the stylish design means you can wear this item casually, to work or on a night out. Suited for all body types, perfect for covering the stomach, chest, neck and arms.